Christmas is all about celebrating the joy of Giving, be it smile or luxurious gift to someone. I remember as a child my mom used to be a very good storyteller and she always made me realize that Santa Claus actually exists in the world. Whenever I used to see Santa Claus with jingle bells on roads and lanes followed by so many people, I used to feel he is gonna come to me and gift me what I want. But my mom used to convince me Saying if you sleep on time and do your homework, Santa will surely come to your bedside and keep a gift for you. Every year Christmas morning used to be very happy for me, because I used to see big gifts on my bedside, with a beautiful card, saying you are a great kid and you deserve a best of all. But as I was growing I realized that my Santa was my parents. They made my dreams and imagination as it is, and never let me realize the truth. I guess this is what kept me always close to my parents. Those days gifts which we used to like were, teddy bears or chocolates or some beautiful dresses. But gone are the days when kids love this gifts anymore and in fact, parents also have a different perception of gifts nowadays. They want something which is creative, engaging and educative. And this is what I thought of Giving my angel a gift of creativity with a touch of Christmas history. I gifted her a Christmas book. This is not just a reading book. Yes, I’m talking about a book which opens up to explore the kid’s knowledge with its creativity. This is the book which made my daughter learn what is Christmas, why do we celebrate Christmas. This book includes Following chapters. >Crafts and coloring pages for kids to make Christmas accessories. Please watch the video once to get a complete knowledge of this book. This book is Authored by Kajal Dharod, who also made Diwali book, during Diwali Festival. Don’t forget to Read the post here (IDiwali). All illustrations are my Aaba Kamthe. This book has 400 stickers, 7 chapters and 10 plus activities pages. This book starts with the introduction of The nativity story, where it shows how Joseph and Mary got married, following how Jesus was born in presence of an angel. The story of St Nicholas to Santa-Claus. Then a small interview of Santa Claus, which makes you understand the life history of Santa Claus and how Christmas became special because of Santa Claus. After those story chapters, here come the creative pages where you can make Santa beard, make Santa bags with gifts, hang stockings, write a letter to Santa, decorating Christmas tree with stickers, finishing with a Christmas doodle. At last, you have a report card for your kid, whether your kid is naughty or nice. So ask your kids questions and fill the report card to Santa to check the truth. (shhh,!! !this is just for kids to understand and realize their own mistakes). 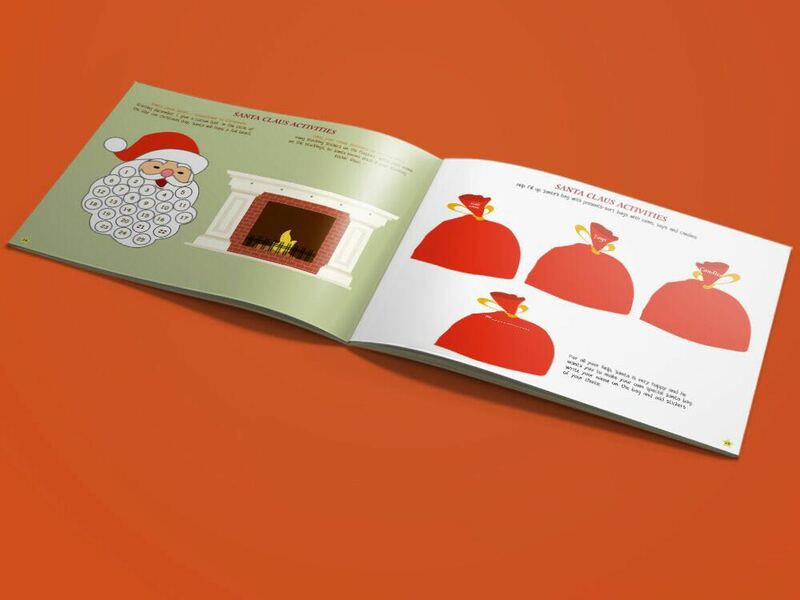 At least I would like to say that my daughter is super happy with this book which is being Designed by http://yourlearningcapsules.com which is a dose of Vitamin Simple. So if you want to gift your kid, a gift of creativity, then this is your choice. Do buy on above link or you can pay paytm and also get couriered to your home at just Rs 349/- Rs. Pingback: 7 Gifts Ideas for Christmas 2017 That You should not Miss. Wow… loved your blog… i will definitely buy that Vitamin capsule for my loved one…. Super awesome post babe.. My baby is small to understand these things but surely in future I will try report card thing ? Wow! 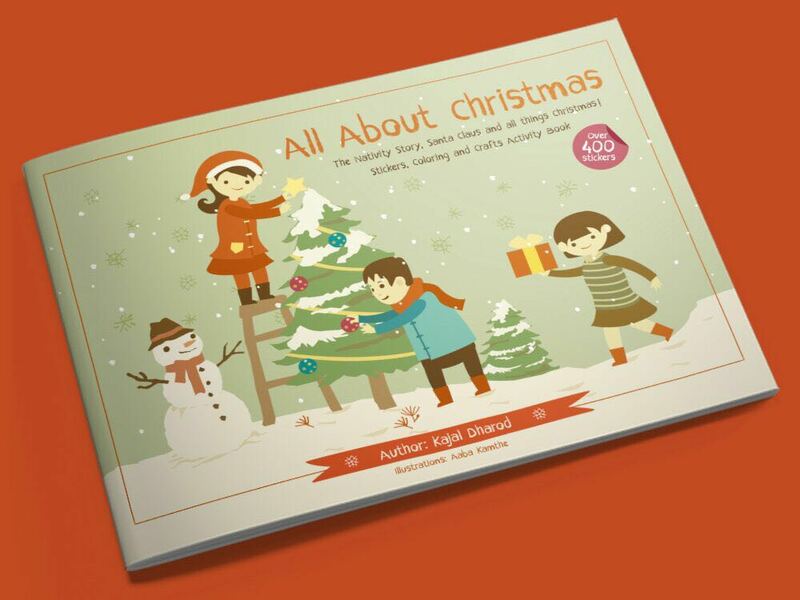 These gifts are really useful and educative for kids.. this book looks really amazing! That’s such an amazing idea to gift something useful to your kids. Loved the pricing as well. Books are always the best gift and the best medium for learning. This book too sounds really amazing. What a package deal this whole this consists, playful as well as informative, really a good present for the kids this season! What could be better than gifting such informative and creative books to kids. Loved this Christmas book. Wow this seems an awesome gift for any kids. Surely they enjoy the activities with the book. Amazing idea. Nothing beats the idea of book being a perfect gift. Parents must gift books to their kids to rise the curiosity of learning and reading. It’s a best gift for every kid at affordable price, nicely u described. this is ideal for kids, as they will learn so much about festivals, all the history behind every festival! I think these are nice options to keep kids engaged. I would definitely try these for my son.